We live in an Era where data breach happens very frequently. In India, a small data breach exposed millions of Indian’s details which exposed their personal details & their identity. This data can be misused in many ways if it lands in the wrong hands. 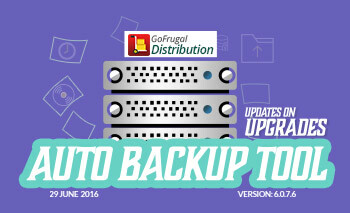 This world backup day, We at Gofrugal are happy to share that we are building this awareness & helping our customers enjoy the benefits of data back up with GoSecure Cloud databackup and recovery solution. The same way for our business, the business data we have are our assets. Few businesses are dependent on their data. When the data gets deleted or affected by a virus, it’s either going to end the business or cost business days to re-setup your business. So, during this World Backup day ensure to backup your valuable business data. March 31 2019 is an initiative started to backup all their valuable data before anything could happen. One can lose their data N ways right from hardware failure to Virus attacks. 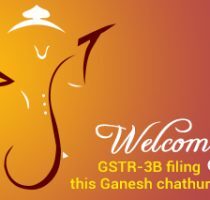 This day is considered as the most important day for the people to realise the importance of business data in our lives and how data loss can be avoided with regular backups. 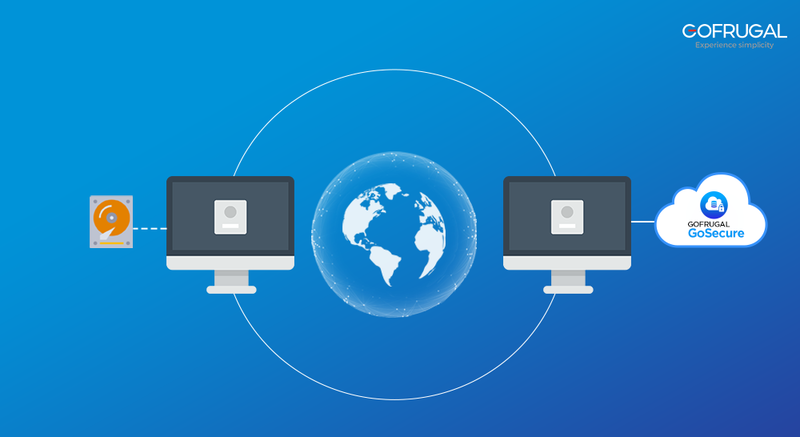 Why backup your business data to cloud? Imagine this scenario where something like a virus in your POS machine has destroyed all your data. This includes all your valuable information such as customer data, stock details, due bill, accounting and more. This definitely sounds like a nightmare for any business owner right? There will be lots of questions in your mind like How can I get all the data back? What alternative do I have for billing? How much do i owe him? How much does he owe me? and lots more. So, a proper backup system is a must for any business as it may get critical when data loss happens. Setting up your own backup might be expensive where various hardwares has to be purchased like servers, hard-drives, computers and a person to keep an eye on the backup regularly. Managing this over your business might sound hectic if you are a newly started business. Data loss could cost you both money and time where it would take manual work to re-enter all the business data during your business days which would cost you. The best way to overcome this issue is by backing up the data to the cloud. What is cloud backup and how is Cloud backup different from local backup? Cloud backup or online backup refers to backing up data to remote server or a cloud based server. For example, storing your data in Google drive, Dropbox, mega, etc is cloud backup. Cloud backup is the easiest method to backup your business data which is the safest mode and which would not cost you much. In case of data loss scenarios, cloud backup comes in handy where there will be very little downtime for your business to download & setup your POS when compared to manually entering the details which would take days. Cost effective – Cloud backup’s do not require additional hardware purchase as the cloud backup can be seamlessly integrated with your existing infrastructure. Highly reliable – Cloud backup’s offer the best security option available as the data is stored offshore thereby even the company personnel cannot access it. 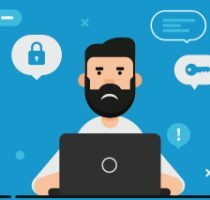 Highly secured – As the data is stored in highly secured servers, the chances for the hackers or any unauthorized persons to access the data is close to none. Avoiding data loss – With regular cloud backups, data loss can be avoided completely as the data is safely secured in the cloud. Completely automated – You don’t need to spend time on manual data backup and thereby run a worry free business. One click restoration – Zero business downtime with GoSecure where the cloud data can be restored with a singe click. 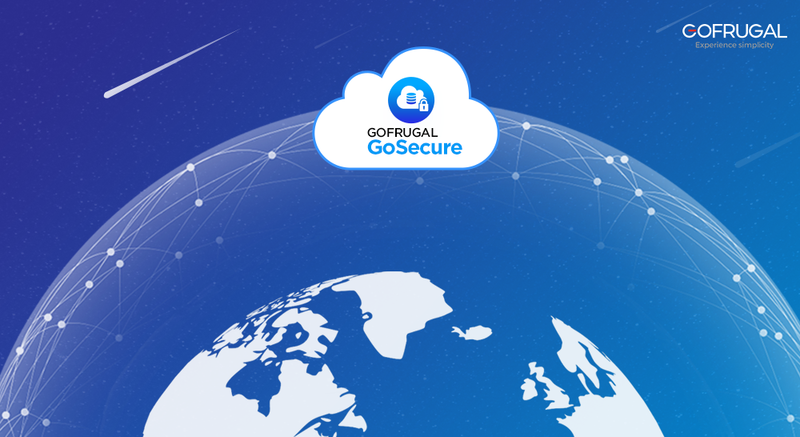 At GOFRUGAL, we would like to step up your data security by introducing you to GoSecure. An automatic cloud backup add-on that syncs your data to cloud for every 3 minutes thereby making the chances of data loss close to none. Why are you waiting? 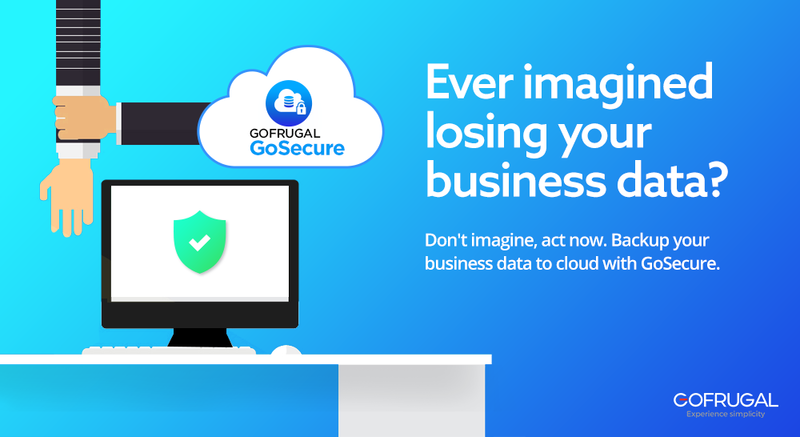 If you are a GOFRUGAL customer, Go Secure your valuable business data with GoSecure.